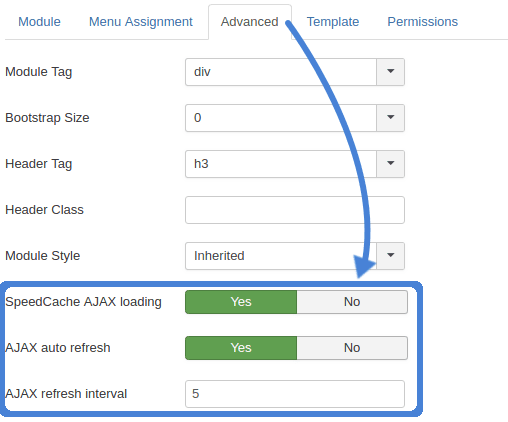 The last two versions of Speed Cache do not only change how caching works and is delivered on your Joomla website. Furthermore, they settle down in your modules to deliver content rapidly without compromising user experience. One of the most exciting new additions to Speed Cache’s feature family is the ability to specify different cache settings according to the user’s device. Speed Cache lets you choose the caching parameters for desktop or laptop devices, tablets and mobiles. 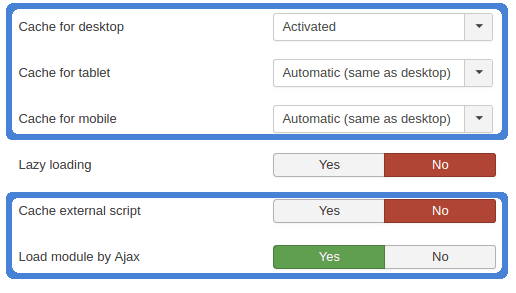 These new options can be changed from the Joomla extension’s parameters tab in the configuration. The desktop cache is recommended in all cases, except for when the wrong content version is being delivered. If the content is failing to update on handheld devices, you can turn caching off only for the failing gadget. Speed Cache now also comes with the provision of caching external scripts, like those delivered by Google, such as the jQuery script. This can be enabled from this same page, but make sure that performance is boosted following the activation; otherwise, simply disable it again. As webmasters will probably know, the ideal configurations are hard to come by, and can take a very long time to achieve. If you have struck the perfect balance with Speed Cache, then you will enjoy knowing that it is now possible to export the configurations. This functionality serves two main purposes. Firstly, if you ever need to roll back changes, you can import those configurations and restore performance. Secondly, if you have found something that works, you can use it across other Joomla blogs alike with the push of a button. All of this functionality is nestled in the import/export tab. Whereas cache can drastically improve performance, not all is rosy. Take a slideshow page, for example. If its contents, like the images, are expected to change frequently, then caching would be counterproductive because it means that updates to this content would take a long time to refresh. In addition to enabling AJAX loading, it is also possible to force module refreshes to make sure your users are always served the latest content. Moreover, you can choose the refresh rate - specified in minutes - just below. Caching is an invaluable tool, but only when used wisely. Although all Joomla blogs are peculiar in their own way and with their own specific needs, Speed Cache gives you the key to adapting your cache to any situation. And now, you can extend your caching to more than just content, but also modules themselves.